We would love to swap with homes in the UK (Cornwall, Surrey, Cotswalds, etc) on any weekend! Otherwise, we are open to all locations worldwide for 2-3 weeks in August. Our home is beautiful, spacious, and comfortable. It's south facing, so sunny all day long. 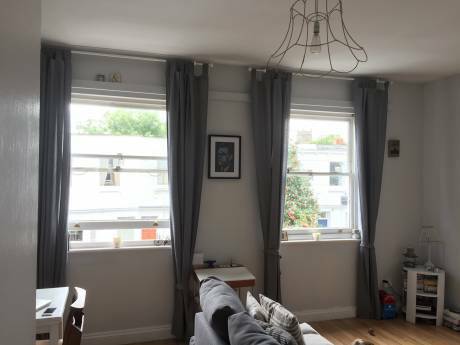 When you walk in you have a large living room with two very comfortable sofas (that can be used as single beds each). 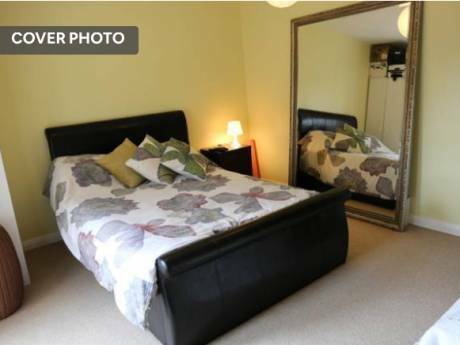 There's a guest bedroom adjacent to the living room with a very comfortable double bed. Continuing down the hall you come into the open plan kintchen, fully equipped, and then into our conservatory/dining room which opens up into the garden. Upstairs, on the first floor, there is Max's bedroom, the master bathroom, Raphael's bedroom and our master bedroom. There are a total of four bedrooms available to you. Raphael's room with a single bed and another single bed that pulls out from underneath, and Maximilien's room which also has a single bed with a single bed pullout. Then we have our master bedroom which has a very comfortable double bed. There's a small balcony in our bedroom and I love the view of all the traditional English homes all in a row! The house is beautiful and in a very nice and safe neighborhood: Fulham. It's very central, yet in a residential area. Down the block is a small market for getting everyday essentials. 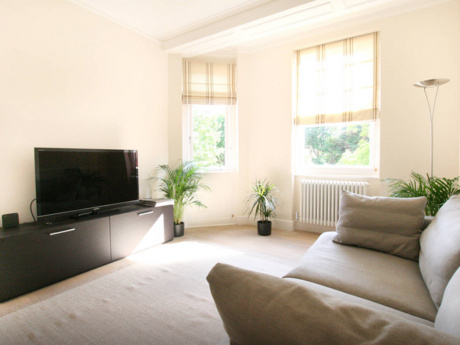 There are two subway stations that are 10mins walk away: Parson's Green and Fulham Broadway. The Fulham Broadway area is great for shopping and has tons of restaurants and cafe's. Gorgeous Bishops Park (which runs along the Thames) is just two blocks away, as well as the gorgeous Fulham Palace and its gardens. I'm a French born actress who moved around every two years as a kid (SouthAmerica, Europe, Middle East), until my family finally settled in the US where I lived 20 years. Ten years ago I moved to Paris, fell in love with & married a handsome and charming Frenchie businessman. My husband is an avid surfer and kite-surfer. I like antiquing, flea markets, treasure hunting. We both love to travel the world. Running along the Thames river!